Rest assured that when you buy a Certified Used machine from Western States you get a good as new machine for a fraction of the cost. 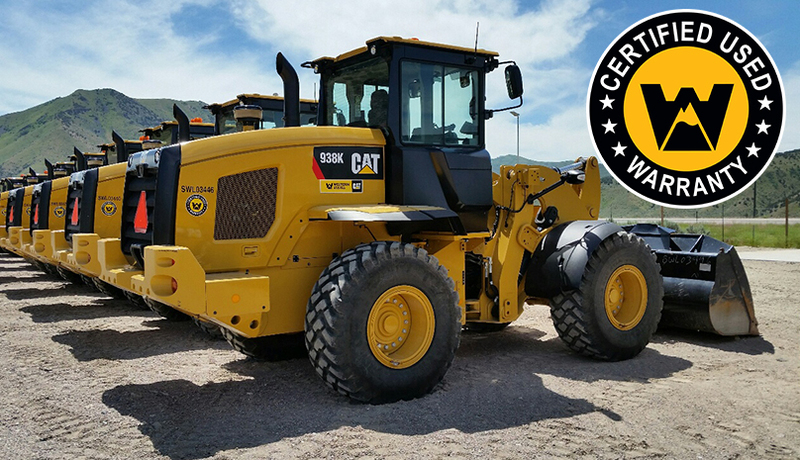 Every Certified Used machine we sell comes with a 1,000 hour 12 month Cat warranty for the powertrain and hydraulics. Western States Certified Used program should give you peace of mind since every machine must have low hours, be less than 5 years old, and have minimum wear on the tires, undercarriage and ground engaging tools, plus it must pass a rigorous 140 point check done by our certified technicians in order to qualify as a “good as new” machine. You know Caterpillar equipment is recognized as the leader when it comes to increasing productivity, uptime and operator comfort and now you can own a “good as new machine” with our Certified Used program.